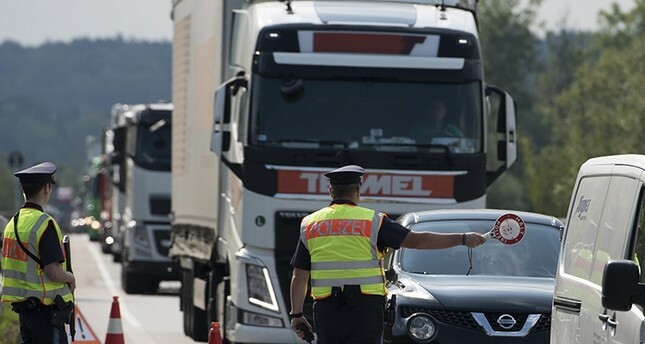 Prospective drivers in Austria will no longer be able to take their written driving test in Turkish, the country's right-far transportation minister said Thursday. Transport Minister Norbert Hofer of the Freedom Party (FPO) claimed the move was to cut costs, but added that the government hopes it will serve as an "encouragement to learn German." Some 270,000 people with Turkish roots live in Austria. Under current regulations, residents of Austria can take courses in a Turkish-language driving school and take their written test in the same language. Although Turkish speakers are a minority of those who take the test, Turkish is reportedly the second most popular language among test takers. Last year, 3,631 out of nearly 300,000 driving tests, about 1.2 percent, were taken in Turkish. Another 2,301 were taken in English, 2,112 in Cro atian and 139 in Slovenian. "Each additional language for training costs the state a five-figure sum that isn't justifiable," Hofer told public radio station O1. "It's naturally a question of costs but also for me it's essential to clearly establish which languages it is sensible to have the exam in," he said. Hofer went on to claim that eliminating Turkish would in fact, reduce discrimination against other minorities. "The current offering of exams in Turkish also discriminates against other ethnic minorities, who would like to have the tests translated into Chinese, Arabic or Albanian," he said. He said learning drivers will still be able to take the test in English, Croatian and Slovenian. The Austrian government must offer the test in Croatian and Slovenian due to the Austrian State Treaty signed after World War II that defines the rights of those two minority groups. The transportation ministry said Thursday that offering Turkish was "merely a concession" made by the government in 1998. Austria is the only western European country in which a far-right party is in power. The anti-immigration FPO took leadership of several key offices after the October 2015 elections which brought a coalition government including the conservative People's Party into power. Turkey and Austria have a rocky relationship. Austrian Chancellor Sebastian Kurz has repeatedly asked the European Union to halt Turkey's membership negation process. Most recently, after Turkey's June 24 elections, deputy FPO chief Johann Gudenus said: "All those who voted for Recep Tayyip ErdoÄan in the Turkish presidential election are clearly better off in Turkey than in Austria." He also harped on the FPO theme of "integration," claiming the election proved that integration of Turks in Austria was a &qu ot;miserable failure."